Appellation or Vine Barbaresco D.O.C.G. This cru comes from vineyards at Serralunga d'Alba owned by Bruno Giacosa's Azienda Agricola Falletto. It has a garnet red colour with delicate orange reflections. 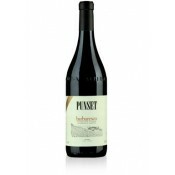 It shows a fine and complex bouquet with violet and wild berry notes. Its flavour is full, velvety and harmonious. This wine displays a great elegance. The wine-makers Bruno Giacosa have been producing and ageing wine for three generations. Their vineyards are situated high in the hills with a fortunate south/south-easterly exposure and a unique local climate, due to their position in a natural amphitheatre. Although the cultivation of the vines is conducted with scrupulous attention to the demands of tradition, certain modern practices, such as the thinning out and trimming of the vines, are not ignored. The yield of grapes reaches an average of 60-70 hundred kilos per hectare. Wine-making takes place in stainless steel tubs, which allow the fermentation temperature to be controlled by chilling apparatus. The red wines are then aged in French oak casks. If there are bad years, when the wine does not reach an acceptable standard of quality, it is not bottled. Best with roast beef, game and spicy cheeses. Due to the length of time the wine has remained in the bottle it is recommended to decant it into a carafe to allow it to air so that its roundness can be fully appreciated. The wine should be served at 16 - 18 degrees centigrade. The best glasses to use are clear, transparent crystal goblets. 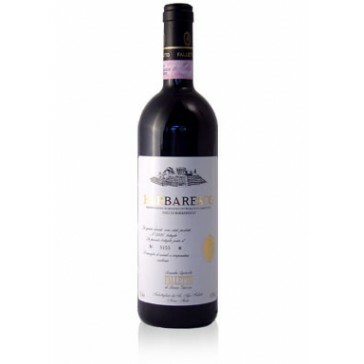 This Barbaresco can age more than 30 years if it is kept in right conditions: lying down in a cool, humid and dark place.